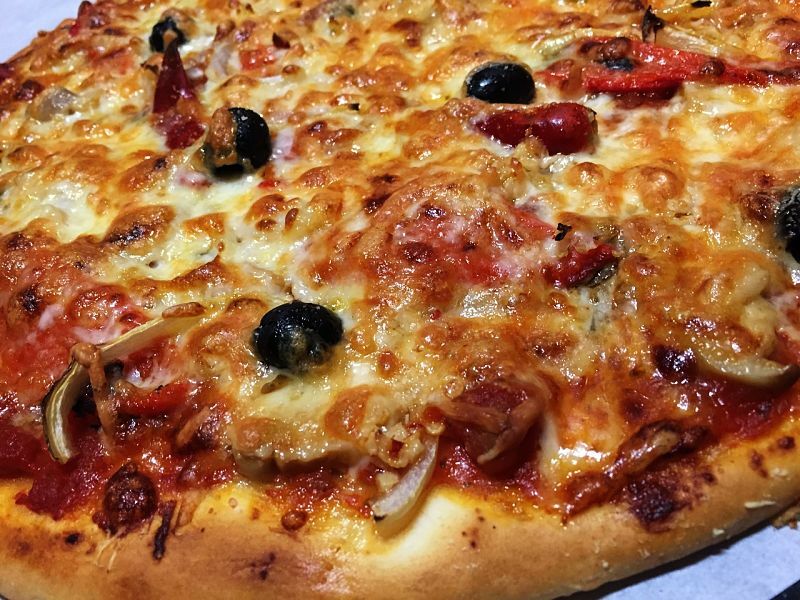 It is wrong to regard Italian cuisine as unhealthy and laden with fat and carbohydrates. The Italian diet is part of the famous Mediterranean diet which has been promoted worldwide and amongst the healthiest diets in the world. However it is true that it is easy to consume too many calories by eating large portion sizes, and choosing the wrong foods at home or in restaurants. 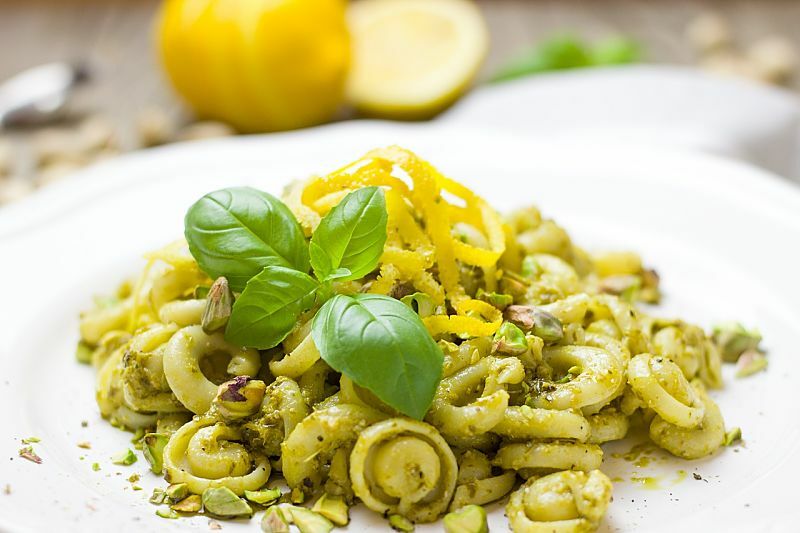 A traditional Italian diet contains many vegetables, legumes, grains, fruits and nuts, all of which are healthy, and of course pasta. Italians generally cook fresh in-season vegetables. Most Italian dishes require just a few ingredients and are simple to prepare. 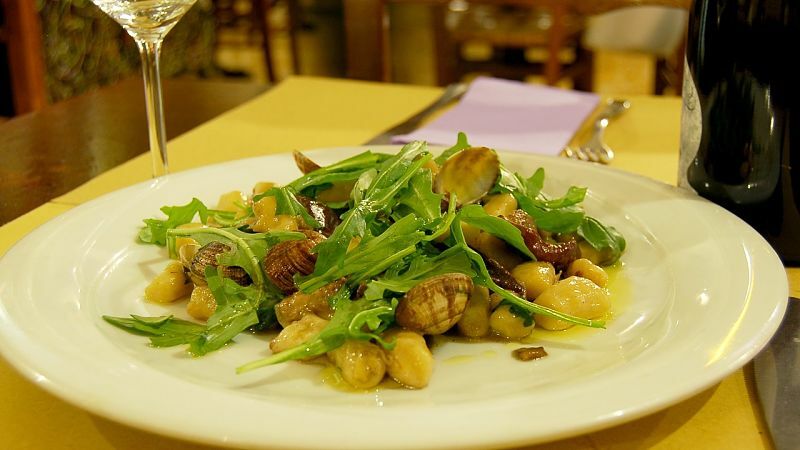 Italian restaurants in countries outside of Italy tend to offer larger portion sizes and richer energy dense foods than the traditional home cooked meals in Italy, and careful selection is required to make healthy choices. It is interesting to consider what the Italians ate several centuries ago given that the key ingredients - Pasta?, Tomatoes and Potatoes are foreign to Europe. In Italy, many people are convinced that pasta originated in China and was brought to Italy by Marco Polo in the 13th century. 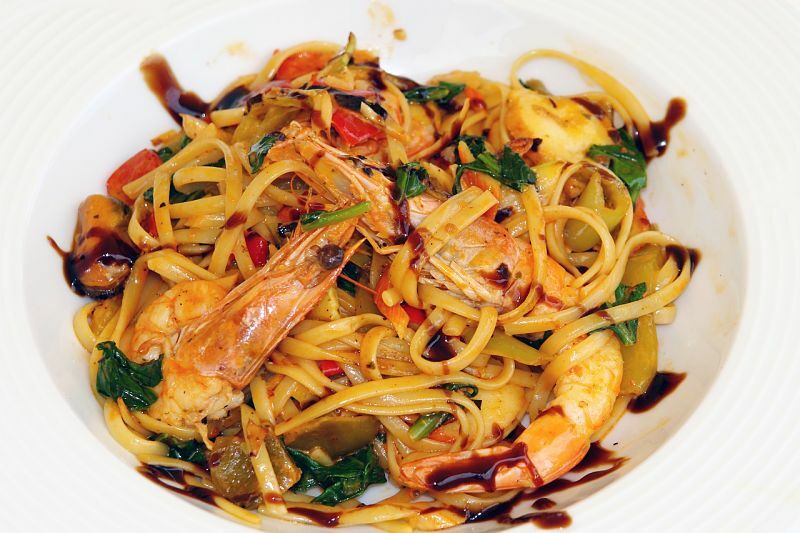 However thin forms of pasta developed in Southern Italy around the 12th century. There is some evidence of a type of pasta called "lasgane" (linked to the modern word 'lasagna'), which was mentioned the 1st century AD. It was baked in an oven, not boiled like modern pasta. The Arab surges in the 8th century had a major effect on the Italian cuisine. 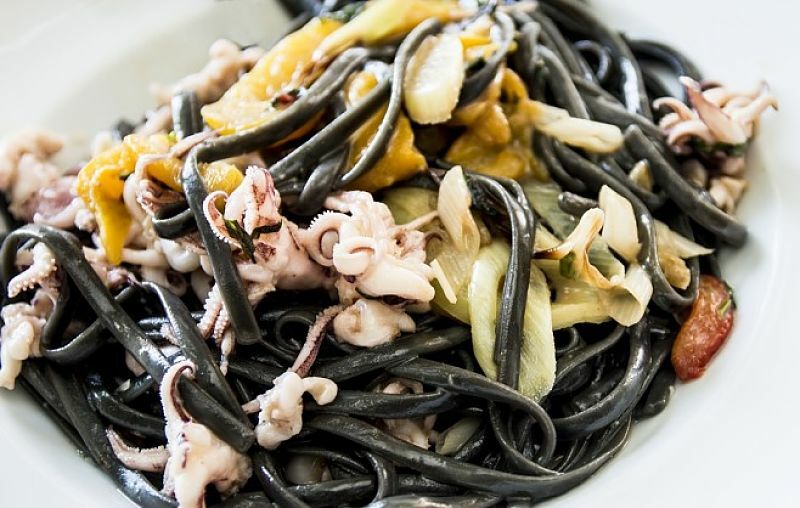 They introduced a type of dried noodle into Sicily and this is most likely the origins of dried pasta eaten today. This early pasta became a staple food in Sicily and this spread to the mainland using the durum wheat that is grown throughout Italy and is used to make the all-important semolina flour. Marco Polo undoubtedly was exposed to Chinese pasta and this may have influenced Italian recipes. The humble tomato and potato (used for gnocchi) originated in South America and as spread to Europe following the Spanish colonization of the Americas which began in 1492 with the voyages of Christopher Columbus. 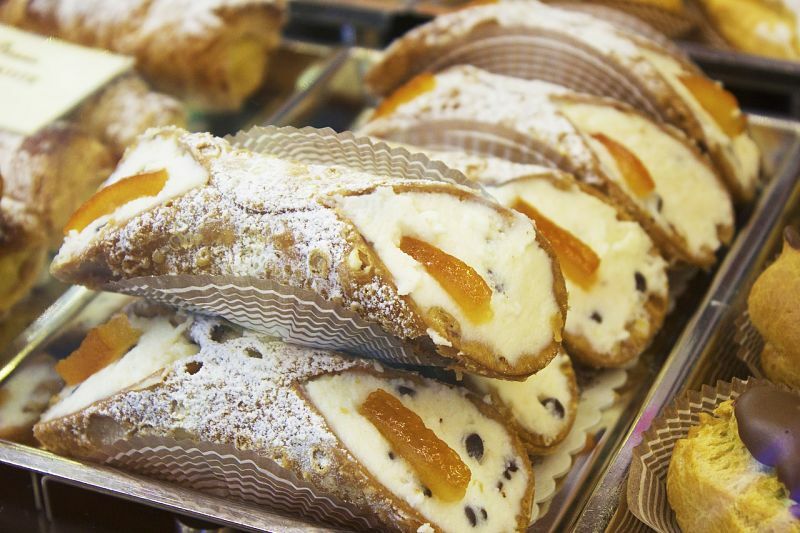 These foreign foods have transformed Italian foods and meals to what they are today. Meats - In traditional Italian meals meat portions are often quite small and fish and seafood are very prominent. One of the key differences is the use of olive oil, rather than saturated fats for cooking and as a dressing. Much of Italian cuisine focuses on chicken and seafood and chicken, which are healthy choices, especially when grilled, rather than being fried. Request these items without breading or cheese. Many meat dishes are served without pasta. If not ask for the dish without pasta but with extra vegetables cooked in lemon rather than oil or butter. Antipasta - Most antipasti dishes generally have low fat, but choose carefully to avoid fat and high calories. Avoid cheeses, meats and fried foods, and choose the vegetables or seafood options. Avoid having the dish already dressed with an oily or creamy dressing. Instead request the dressings on the side and choose olive oil, fresh lemon, red wine vinegar and dress your salad yourself. Pasta - Pasta unfortunately has a dubious reputation as a processed carbohydrate-rich food, but once again it is all about portion sizes and the sauces. There are many fabulous whole grain pasta varieties now available. Use vegetables or seafood in your sauce rather than meat. Avoid dishes described as 'creamy', instead look for tomato based sauces, or ask your waiter exactly what is in the sauce. 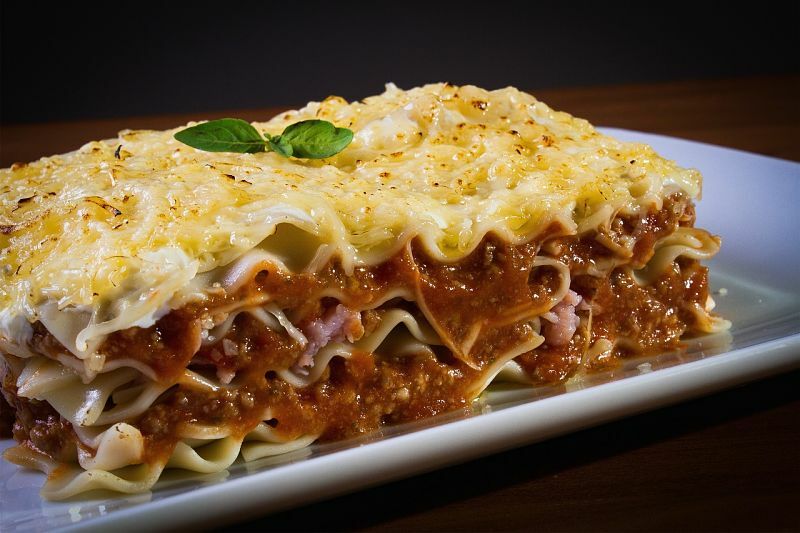 Also avoid sauces developed from a bechamel sauce which has a large amount of butter and flour as its base. Most pasta portion sizes served in Italian restaurants are far too large so ask for smaller one or share. Look for food items that are served with tomato-based sauces as these generally have lower calories, but it all depends on how they are prepared and the amounts of cream, olive oil or cheese. Choose Marinara Sauce, not Alfredo Sauce - Marinara sauces are traditionally made with a combination of tomatoes, wine and herbs. On the other hand, Alfredo sauce has lost of fat and calories and is often made with butter, cream and Parmesan cheese. Pizza - Reserve pizza for occasional treat, share to reduce portion sizes and ask for a whole wheat crust if available. Avoid multi cheeses or the various meat pizza toppings (especially salami), instead use lots of delicious freshly grilled vegetables as alternatives. Extras - Think carefully about not adding an extras to an Italian meal. Always ask for a small serving of high quality bread to avoid being tempted. Avoid refined breads and choose healthy whole grain breads instead, as there are many fabulous healthy breads available. Generally you will need much less of the healthier breads. Don't use butter on your bread instead use dribble of extra virgin olive oil instead. Soups - Soups are generally a wonderful healthy and hearty way to fill you up, and many fabulous Italian soups are full of beans, vegetables and grains, that provide lots of fibre, protein, and vitamins. Vegetables - Think vegetables or all your choices. The entrees based on vegetables are likely to contain fewer calories than other dishes. But avoid the rich cream sauces and cheese. When cooking vegetables, try to avoid frying, and use grilling or roasting methods which caramelize the vegetables, and enhance all the natural flavours. When frying use a good high quality extra virgin olive oil and minimal amounts. You can add chicken or vegetable broth to sauté the vegetables rather than frying them, which minimizes the amount of oil required. You can make a great Eggplant Parmesan dish, without the fat, by grilling the eggplant slices or cooking them in a microwave instead of frying them, and substituting low fat cheeses. A good house salad without fat loaded dressings is a good healthy choice. Most Italian restaurants will give you the option of adding chicken or shrimp to your salad which can become a main meal. Portion Sizes - Take control of the portion size or your meals at home or in the restaurants. Pasta dishes can be massive! Choose smaller portion size, share or take the left over home with you. Salads and Side Orders - A good way to satisfy your appetite without stuffing in loads of calories is with a green side-salad or perhaps steamed or sauteed vegetables. Fill up on these lower calorie choices. Choose Garden Salad - not Caesar Salad - Garden salads typically contain only lettuce, peppers, tomatoes and other vegetables, usually with a light salad dressing such as a balsamic vinegar and olive oil. However, Caesar salad has lost of high calorie ingredients such cheese, bacon/ham, croutons and Caesar dressing. Desserts - If you have to have dessert, pick a fruit based one without heavy sauces. 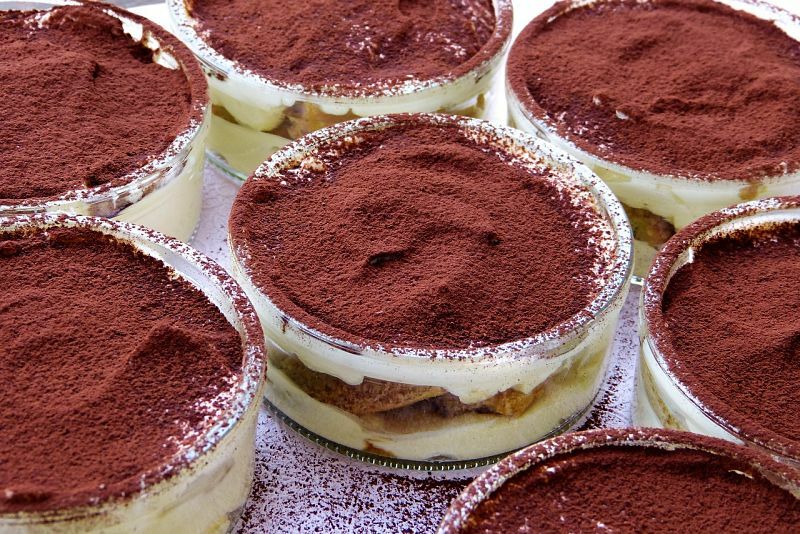 Tiramisu is very tasty but it contains cream, marscapone cheese and various other ingredients that boost the calories and fat content. Choose a tiny portion side, share, or choose a healthier dessert such as fresh fruit. Avoid meatballs, which usually have bread crumbs in them. Avoid or minimize the following pasta, bread, risotto, polenta, bruschetta, crostini. Eggplant parmesan, and various meat dishes. Request reduced fat versions or ask for reduce amounts of cheese in the sauces. Chicken Marsala (low fat) - Traditionally this dish consists of a lightly breaded chicken breasts served with a wine and mushroom sauce. When ordering this dish request that the skin of the chicken has been removed and that the chicken be prepared without any breading. Request a small portion with a small amount of sauce. Choose plain ice cream or simple fruit dishes rather than fancy desserts. Fish dishes are always healthy choices but request that the cheese or cream sauce be removed or placed in separate small side-dish. Avoid the meat-based pizza toppings such as salami and pepperoni and salami choose vegetable and seafood options instead. Pasta dishes with vegetable-based or tomato based sauce are much better than creamy or cheese-based varieties.